Amanda Davidson Real Estate Group is Northern Virgina's most trusted local, independent resource for real estate news and insight. Our team has its finger on the pulse of the real estate market in Alexandria and the surrounding counties. Here you'll find the latest market updates, local news, and tips for buyers and sellers. The Landsdowne Subdivision in Alexandria Virginia is composed of 619 single family homes and townhomes. 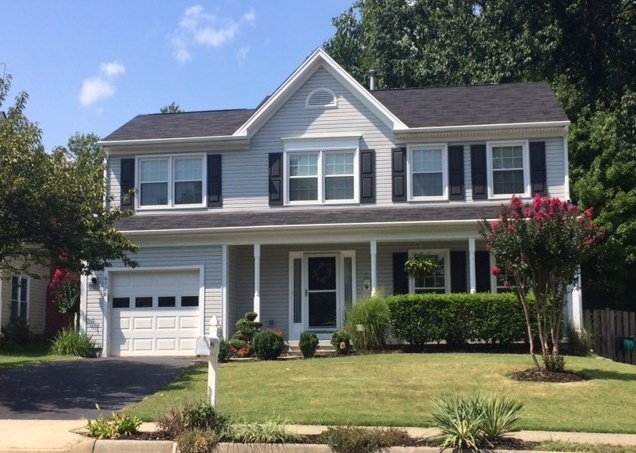 The homes in Landsdowne were constructed by Pulte and Richmond American homes between 1987 and 1989. The single family homes in the neighborhood range from 3-5 bedrooms and 2.5 to 3.5 bathrooms. All of the detached homes have a 1-2 car garage and some have fireplaces. While the majority of the single family homes have 3 levels there are some floor plans with 2 levels and some that are split level with 4. The townhomes in Landsdowne range from 2-3 bedrooms and 1.5 to 2.5 bathrooms. 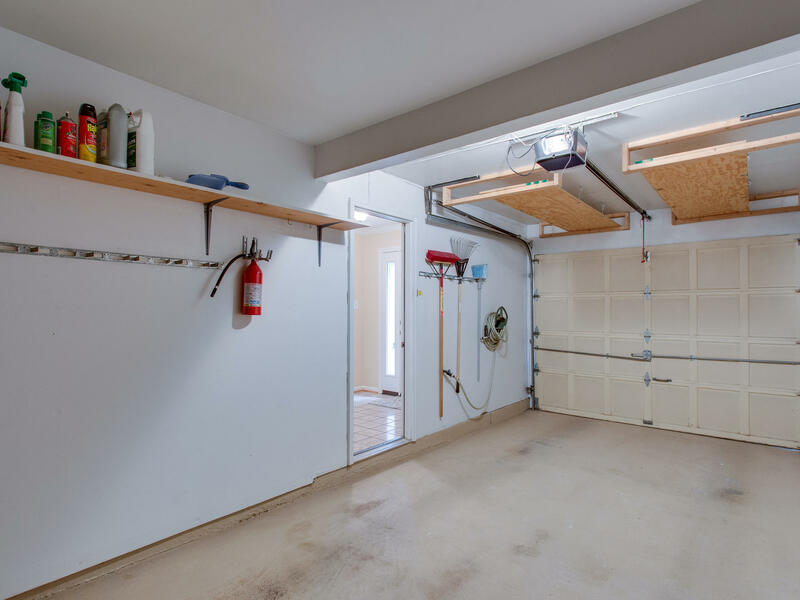 Some of the townhomes feature a garage and/or a fireplace. The homes range from 2-3 levels. The Landsdowne community offers its residents wonderful amenities. From a 25-meter outdoor swimming pool complete with a deep and shallow play area to tennis/basketball courts, wading pool, picnic area with grills, tot lots, and walking paths there’s a lot for residents to enjoy. The neighborhood has beautiful landscaping throughout and it’s rare to drive through and not see people out enjoying the area or taking their dog for a walk. When it comes to location Landsdowne has it covered. Whether it’s major commuter routes, grocery stores, pharmacies, dining, or entertainment all are nearby the neighborhood. Landsdowne is within walking distance to two shopping centers. Landsdowne Center and Hilltop Village Center. 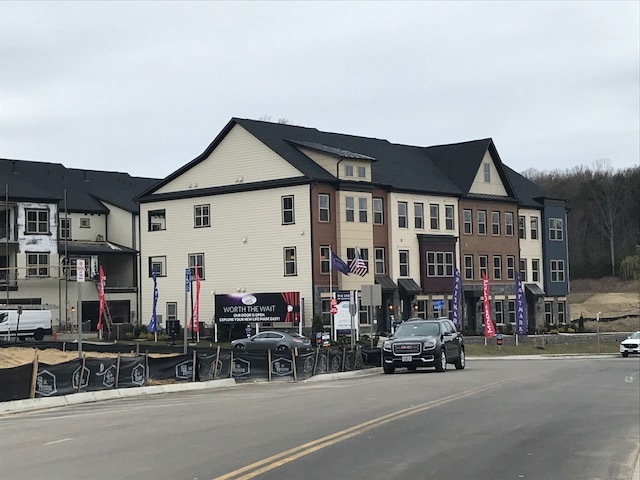 Hilltop is the newest shopping center in the area and home to Wegmans, Burtons Grill, Green Turtle, The Joint, Panda Express, Mattress Warehouse, Hair Cuttery, Hilltop Dental Care, and many other dining and retail locations. Kingstowne Towne Center is less than ten minutes by car from the neighborhood. You’ll find additional grocery, dining, and retail options in the center. Commuters will find accessing 495, 395, 95, and Fairfax County Parkway from Landsdowne is very convenient. 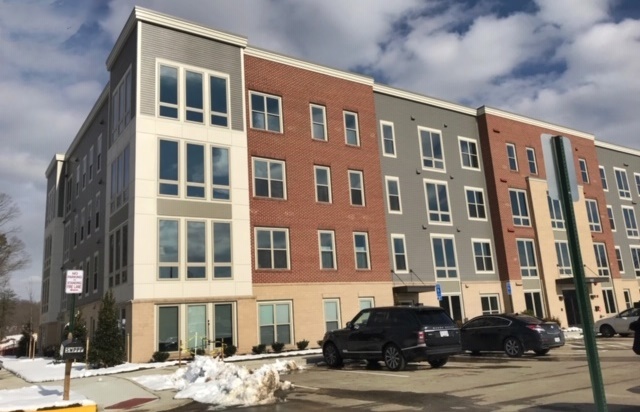 Access to the Franconia-Springfield and Van Dorn metro stations is also within 5-10 minutes from Landsdowne. Children in the neighborhood will attend Island Creek Elementary and Hayfield Secondary schools. For more information on these schools visit GreatSchools. The following is a review of activity in Landsdowne since March 2017. There is currently one home for sale in Landsdowne. The seller’s market in the neighborhood continues. 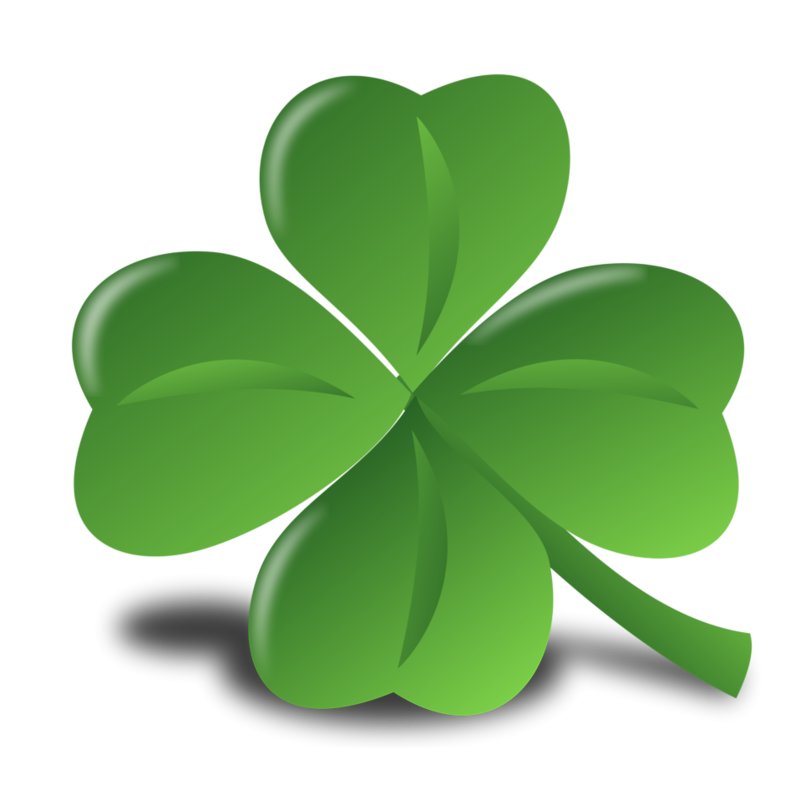 If you are considering selling your Landsdowne home visit our home value calculator to receive a free estimate. It’s an excellent time to list your home for sale. 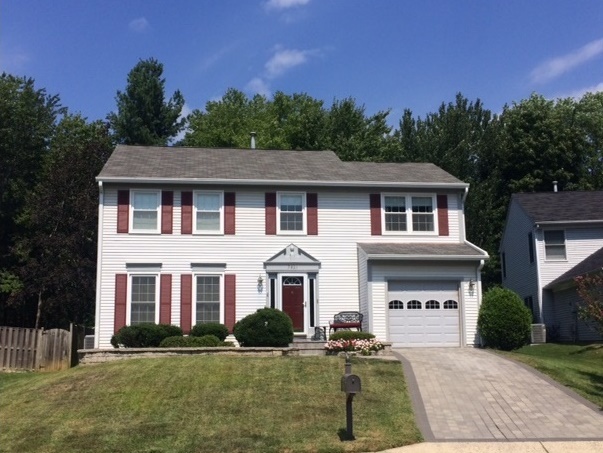 Interested in buying a home in Landsdowne? Reach out to us for more information on the neighborhood. We’d be happy to answer your questions and help you with your home search. Call us, Amanda Davidson Real Estate Group 703-988-1711. Browse homes for sale in Alexandria. Do not miss this Place One condo located minutes from metro, 495, and 395. Offering 850 square feet of living space and city views from the 12th floor. 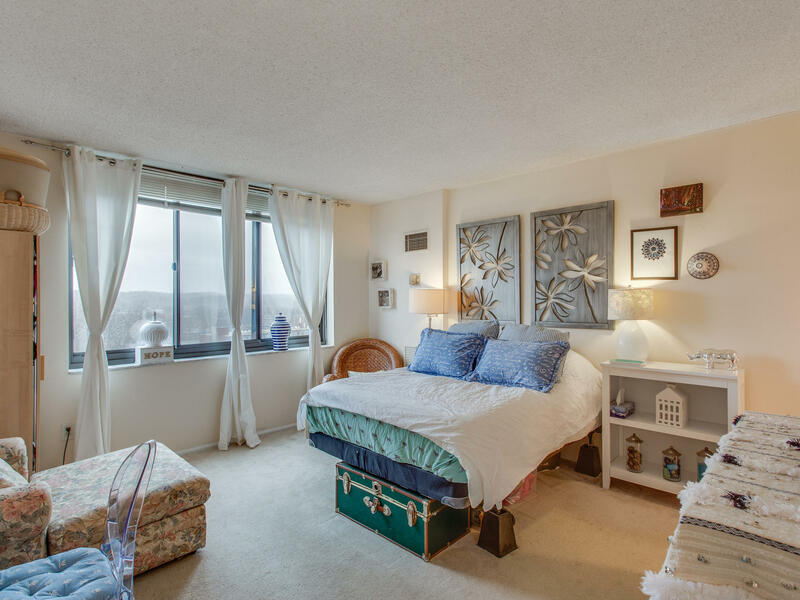 This condo in Alexandria features 1 bedroom, 1 full bath, and 1 half bath. You’ll love the spacious master bedroom with a walk-in closet and attached updated master bath. Place One is an amenity-rich community with secure entry, 24-hour security, front desk attendant, outdoor pool, tennis court, sauna, exercise room, dog park, and garage parking. This condo sells with an extra storage unit. 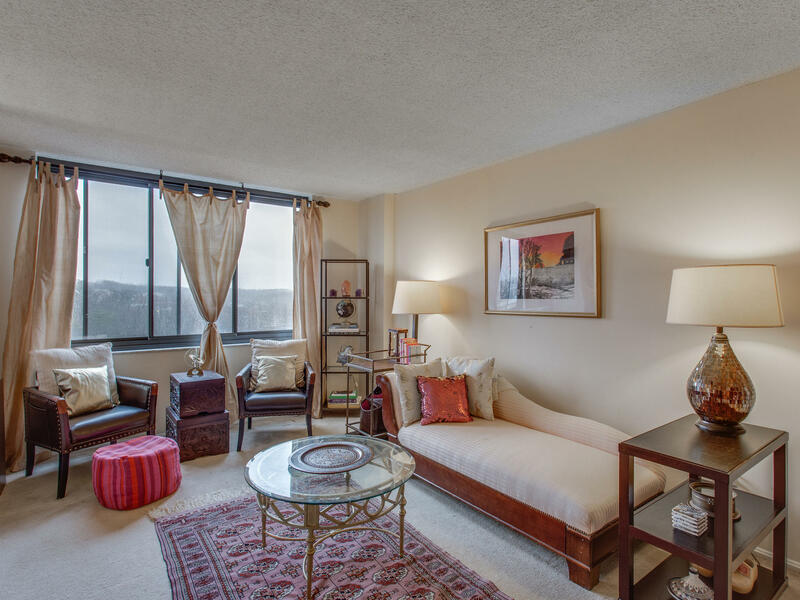 Enjoy the best of both worlds with low maintenance living and a convenient location. This Alexandria condo is listed at only $190,000! 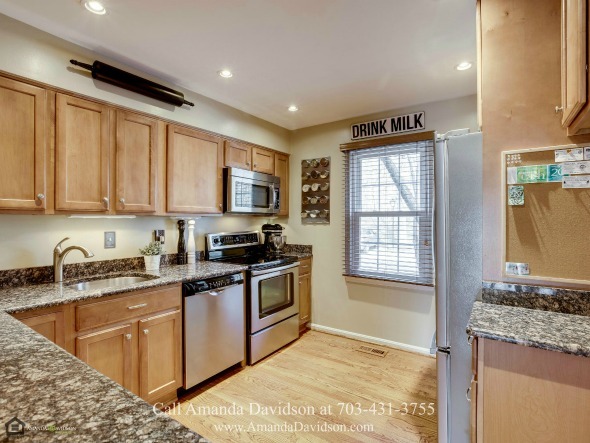 Call me, Amanda Davidson, at (703) 431-3755 for a private showing today. 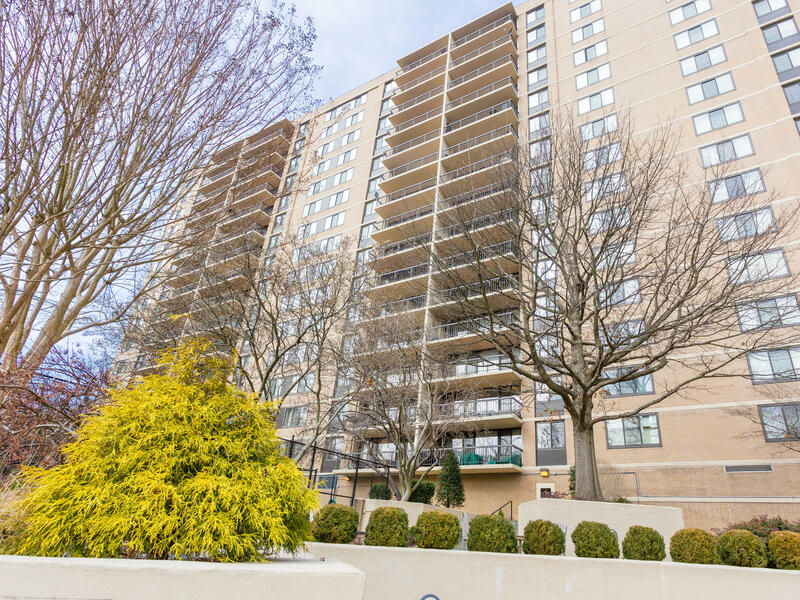 Condo sales in Alexandria saw an increase in median sale price from January. Less condos sold but, that doesn't mean the market isn't strong. Days on the market are low and sellers are enjoying a strong sale to list price ratio. How Does February 2017 Compare to February 2018? The number of condos sold saw very little change, higher this year by only six units. Median sale price increased by slightly under $5,000 in 2018. Days on the market saw no change and the median sale to list price ratio also remained consistent 2017 – 97.32% vs. 2018 – 97.43%. 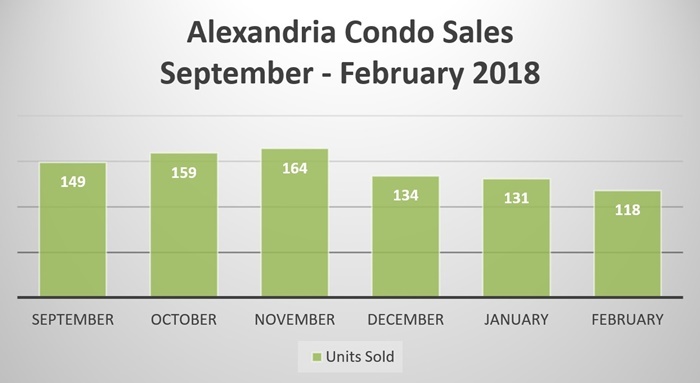 There are 222 condos for sale in Alexandria, no change from inventory levels at this time last month. There continues to be low inventory in Alexandria. New inventory that comes on the market and goes under contract quickly have similar characteristics – priced correctly, reasonably updated, shows well, and has convenient showing instructions. Although inventory is low that doesn’t mean buyers don’t resist overpriced condos, they 100% do. Buyers are savvy and know when a property isn’t priced correctly. Is it a Buyers or a Seller’s Market? The market is still favoring sellers. Rising interest rates and rising home prices have buyers out actively seeking their next home. Interest rates make the biggest impact on buying power and buyers are looking to secure their next home and lock in their interest rate before rates rise again. Rates are predicted to hit 5% by the end of 2018. Whether or not that will happen we can’t honestly say but, they have already increased multiple times this year and it’s something to monitor if you are considering buying a home this year. Thinking of selling? There really has never been a better time to do so. Record-setting median sale prices and record low inventory makes the market very favorable for sellers. The median sale price in the DMV was up 2.6% as compared to February 2017 which translates to over $10,000. This is the 17th consecutive month of year over year price increases. This doesn’t mean you can overprice your home though. We’ve been witnessing many homes go on the market that are priced too high and in turn, they continue to sit on the market. You only get one chance to make a first impression and you want it to be the best one possible. That means proper pricing, proper staging, and the right marketing plan. Use our home value tool to receive a free estimate. 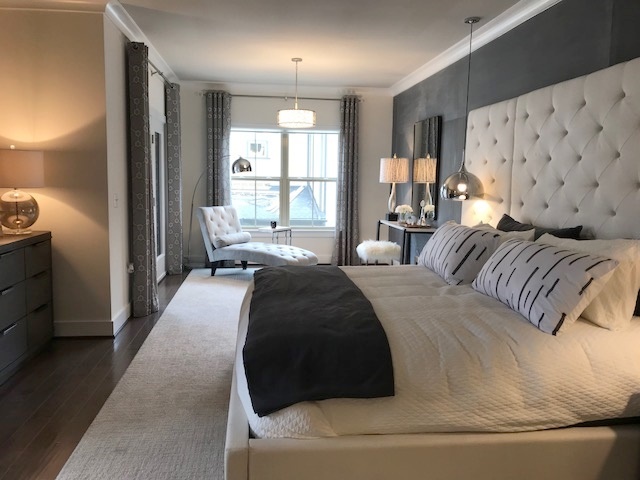 If you’re buying or selling a condo in Alexandria and have questions reach out to us and let’s connect. We welcome the opportunity to learn about your real estate goals. Be the proud owner of this gorgeous townhome! 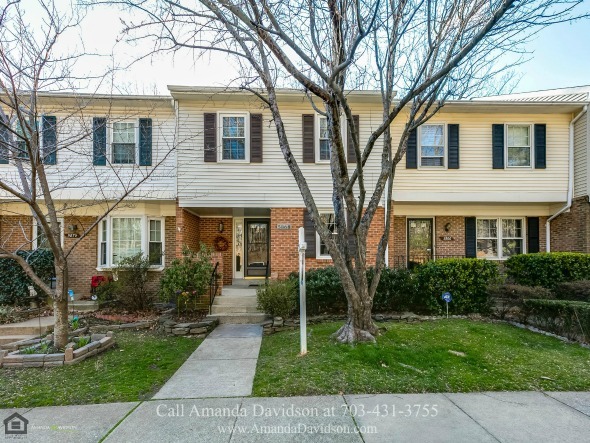 Do not miss this charming, move-in ready townhome in Runnymeade, a community located just a mile away from the Capital Beltway and off of South Van Dorn Street. 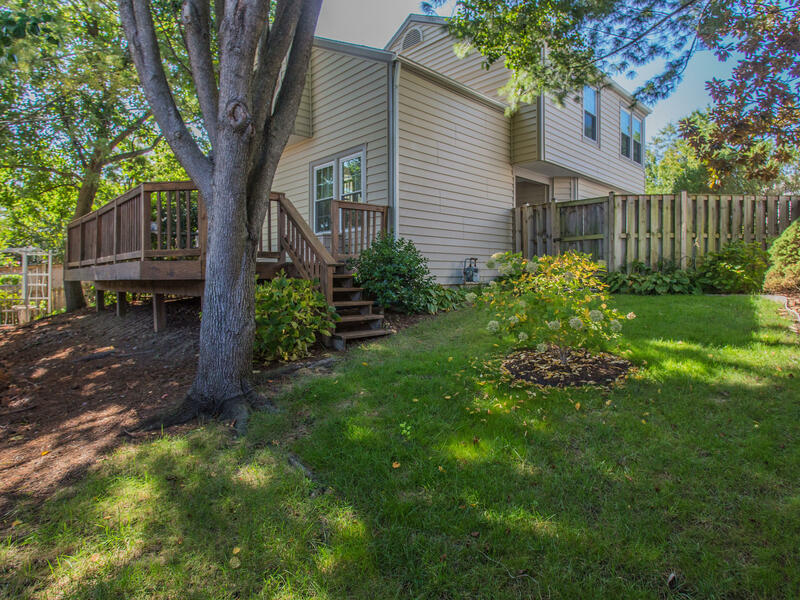 This townhome in Alexandria features 3 bedrooms, 2 full bathrooms and 2 half bathrooms. You’ll love its open floor layout. It creates a seamless flow through the different areas of the home. 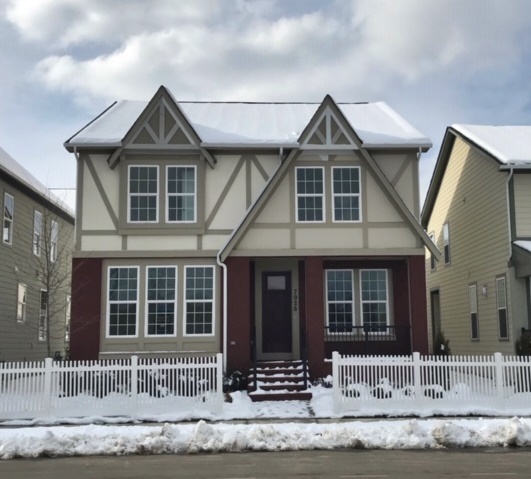 Other features of the home include a lovely dining area, a spacious and modern kitchen with stainless steel appliances, a welcoming living room, a fully finished walkout basement, and two decks. This Alexandria townhouse for sale is listed at ONLY $450,000. A gorgeous, move-in ready townhouse awaits you! 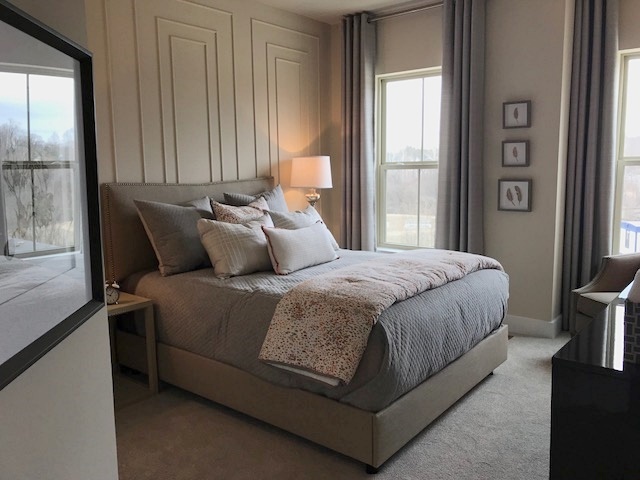 Imagine an exceptionally maintained home filled with natural light and spacious living spaces, complete with all the amenities for comfortable modern living. That is what's waiting for you and your family in this 3 bedroom, 2 full bathrooms and 2 half bathroom townhouse in Alexandria. Built in the Colonial style and backing to the trees, this townhouse offers the comfort and privacy you've been looking for. It’s also offers the best of convenience and location! Runnymeade is located just a mile away from the Capital Beltway and off of South Van Dorn Street. It is only six minutes away from downtown Kingstowne, which means you have plenty of shopping and dining options near you! And you’re not just limited to Kingstowne. Alexandria West is only a 14 minute drive away, Annandale can be reached in 15 minutes and Springfield is 12 minutes away. This community is surrounded by parks, so you have no excuse to miss your runs and long walks. For your school age kids, all local schools are within a two-mile radius. 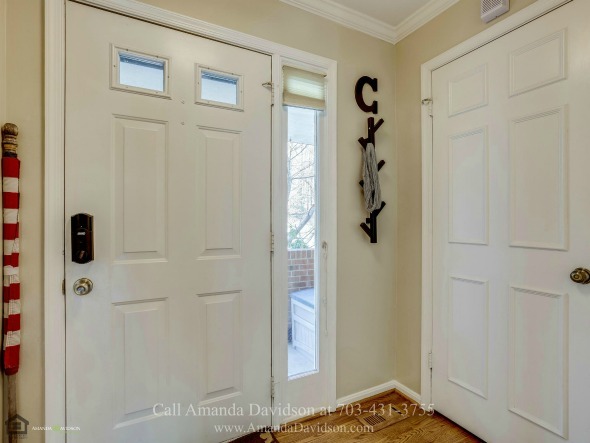 Enter through the elegant front door of this charming townhouse and be welcomed by a good-sized foyer with neutral toned walls, lovely crown molding and polished hardwood floor which extends throughout the main level. A few steps down the foyer, to the right of the hallway, is the 11 x 10 updated gourmet kitchen. 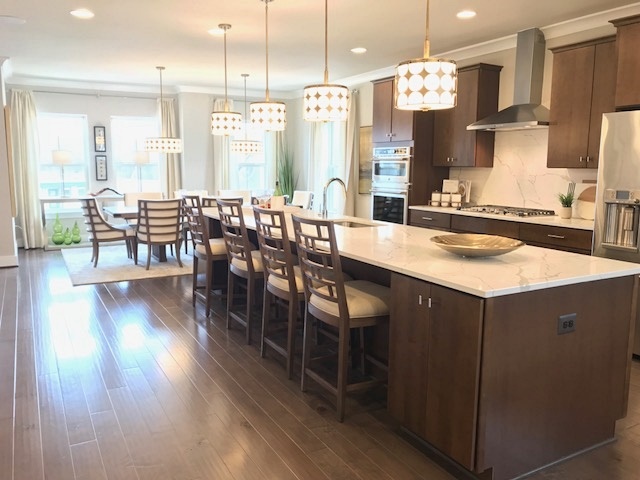 Featuring granite countertops, stainless steel appliances like an icemaker, a microwave, an electric oven/range and refrigerator, and beautiful kitchen cabinetry, this kitchen has everything you could ever ask for. The warm tone of the hardwood floor and wood cabinets enhance the cozy appeal of this kitchen. Dazzle your family and friends with your impressive cooking skills and let the aroma of great food tease their appetites. 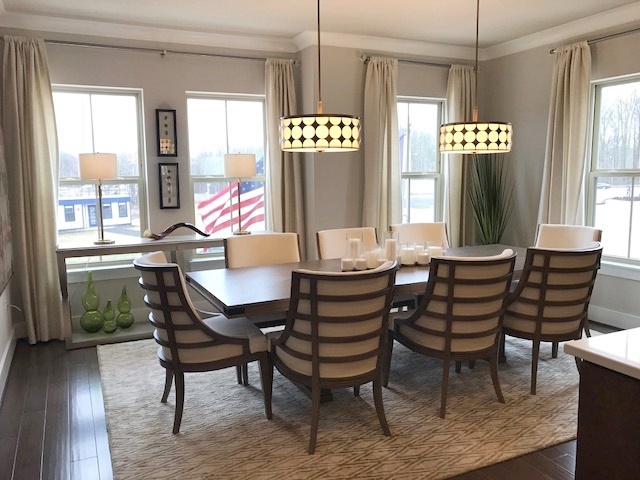 The 11 x 10 dining area is warm, inviting and elegant, thanks to the lovely crown molding, chair railing, and oversize mirror that runs the length of the wall. Invite your friends over! This dining space has enough space to accommodate a 6-chair dining set. It is also open to both the kitchen and the living room, a great gathering place when you are entertaining during holidays and celebrations. Adjacent to the dining area is a bright and airy 20 x 13 living room. 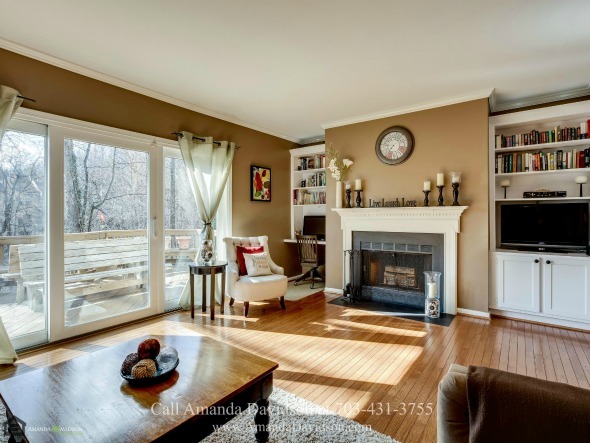 It’s easy to fall in love with the charm of this Alexandria townhouse living room. With built-in bookcases, a wood-burning fireplace, and large glass sliders which let plenty of natural light in, this living room is the perfect place to relax after a long day of work. Display your book collection! This townhouse has some great spots to showcase your books. Open the sliding glass doors and step onto a good-sized wooden deck which backs to the wood. Several outdoor chairs, a deck umbrella, and a small table will complete this outdoor retreat. 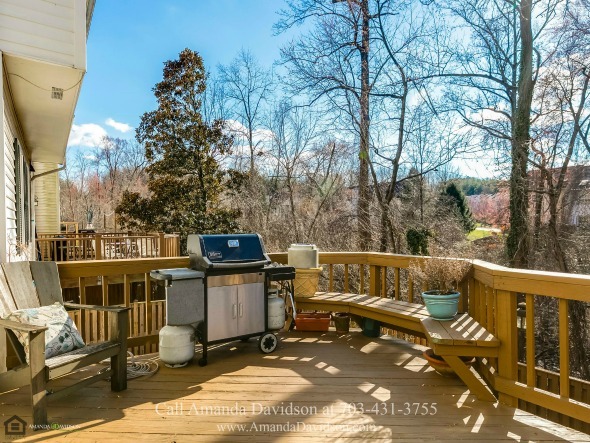 If you want to escape the noise inside the house or simply just relax, bring your book or magazine outside and bask in the sunlight and fresh air this amazing deck offers. 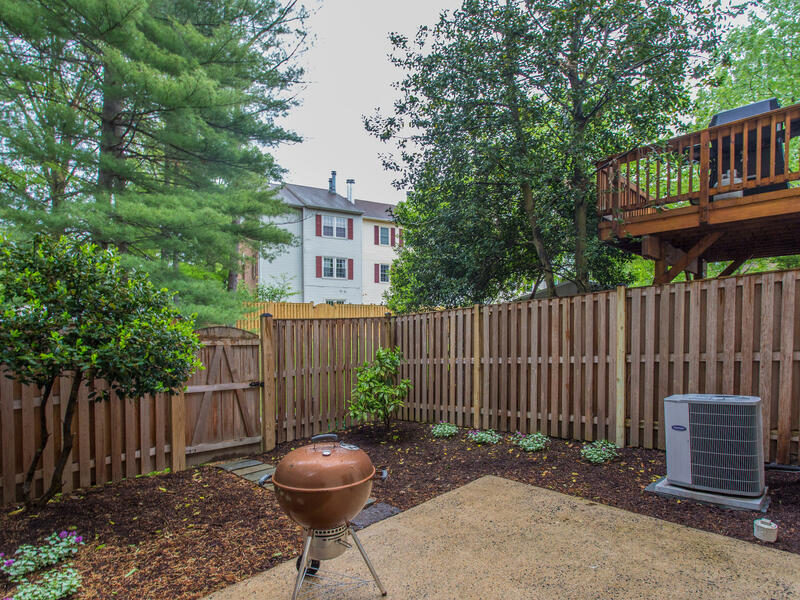 If you love to entertain, this is a great spot for your outdoor grill. Open the sliding doors and you have an instant extension of your living room, seamlessly combining indoor and outdoor living. This townhouse is proud of its three large and well-appointed bedrooms. The 14 x 13 master bedroom is on the second level and has everything you need! Neutral toned walls, carpet floor, and big windows let in light and give the bedroom a warm and inviting appeal. It features a walk-in closet so you have enough space for your clothes and personal items. The en-suite bathroom is lovely and features granite countertops and a shower/tub combo. 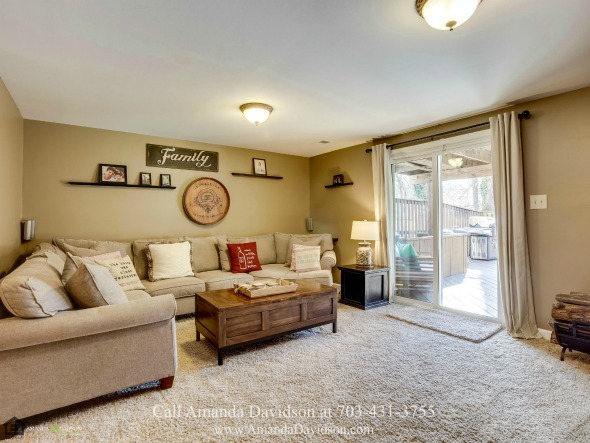 The family room of this townhouse is located in the fully finished walk out basement and features wall to wall carpet, a tile surround wood burning fireplace, built in cabinets, a wet bar and glass sliding doors. This family room is a gem, a great spot for you and your loved ones to gather, relax and create wonderful memories together. Cozy and inviting, your kids will love the wide spaces when they play here. 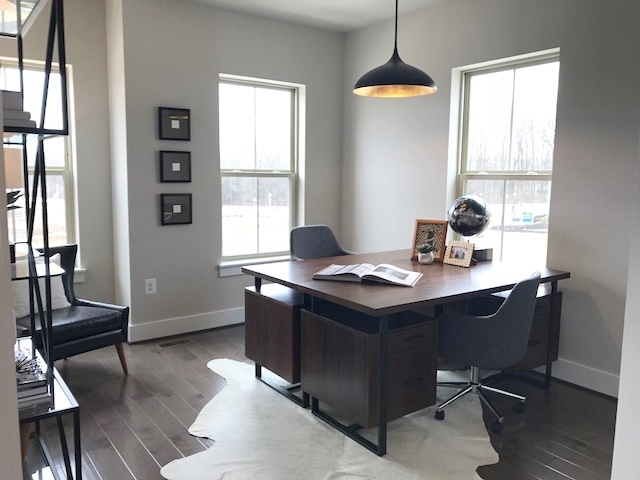 There is also a bonus room in this basement that you can turn into another bedroom, a home office, a studio or a home theater. More outdoor retreat for you to enjoy! The glass sliding doors by the family room open to another stunning outdoor retreat, larger than the deck above. This lower level deck is spacious and fully fenced, giving you a secure spot for your parties and gatherings. It is also a great spot for your morning yoga. Clearly, this home is meant for comfortable living and high quality entertaining. 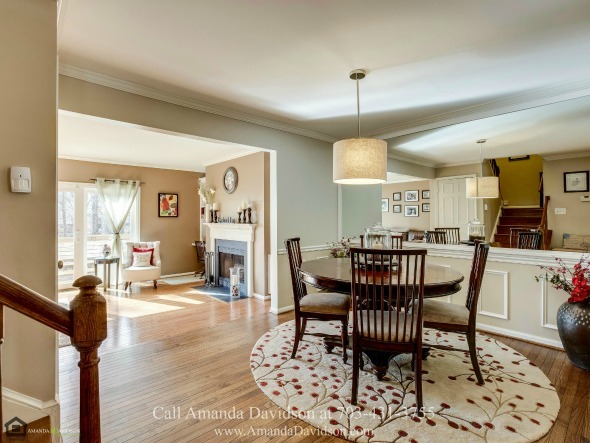 If you would like to see more photos of this home, or find other homes in the Northern VA area, visit my website http://AmandaDavidson.com/. Homes like this don’t stay on the market long! Make it yours for ONLY $450,000. Looking for a conveniently located home? Call me, Amanda Davidson, at (703) 431-3755. I’m your Northern VA real estate agent. Let me help you find the home that fits both your needs and your budget. How Did Real Estate Sales Perform in Alexandria in February 2018? 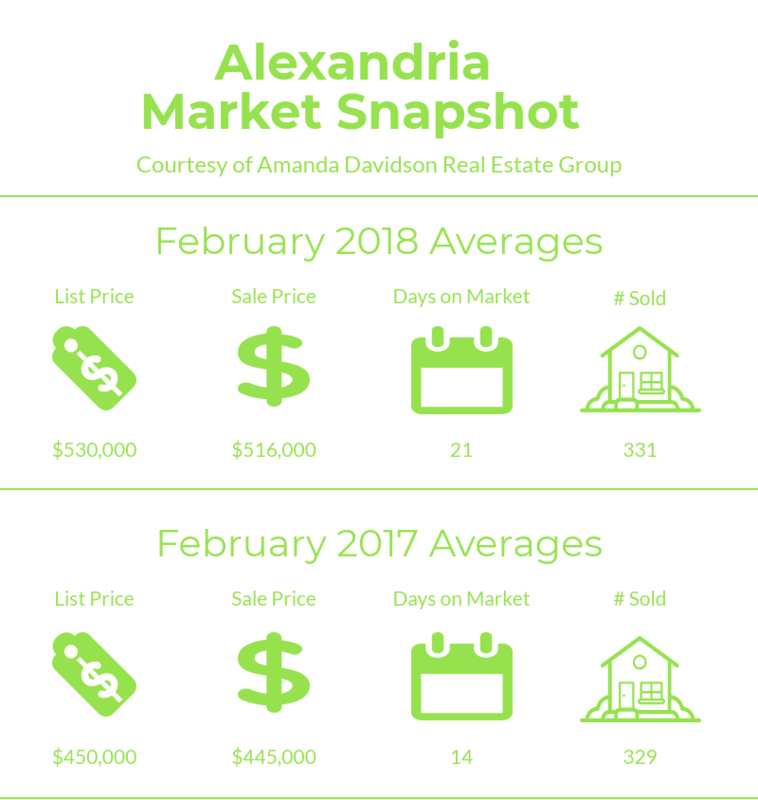 February 2018 home sales for Alexandria are in and very telling of the current seller’s market this area is experiencing. The median sale price saw a strong increase from January and sellers aren’t having to negotiate much (if at all) when selling their home, just slightly over 2%. Comparing the same timeframe from the previous year allows us to analyze how the market has changed. Median sale price is up by over 15% as compared to February 2017 – the number of homes sold and sale to list price ratio saw very little change. As of today there are 656 homes for sale in Alexandria. An increase from 539 at this time last month. Certainly not a big jump in inventory but, we’ll take it! 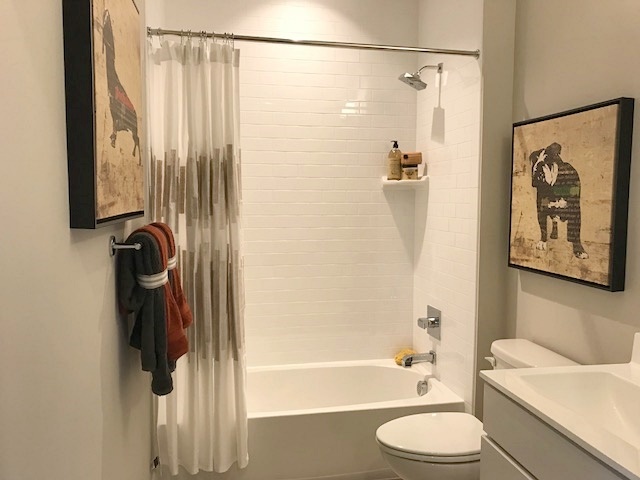 The lowest priced property is a studio condo with 471 square feet listed at $109,000 and the highest is a 4 bedroom, 2.5 bath townhome with 2,831 square feet listed at $5,745,000. Current active listings in Alexandria have an average of 31 days on the market. 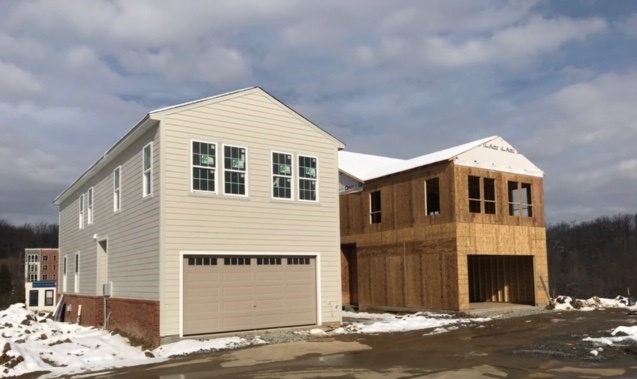 As of March 8, 2018 there are 611 homes under contract. Median days on the market for the pending homes is 13. The real estate market in Alexandria continues to be a seller’s market but, sellers need to understand that buyers in today’s market are well informed on inventory levels and continue to resist homes that are overpriced. Knowing that it’s a seller’s market doesn’t erase the need to properly prepare a home for sale and price it correctly. Failure to do that will without a doubt impact a seller’s bottom line. Making the best first impression when listing your home is critical to a successful sale for the highest price in the shortest time. Be the home that sets a record high selling price for the neighborhood not the home that sits and becomes stale inventory. Homes that sell quickly in Alexandria all have similar characteristics: they are clean and well maintained, reasonably updated, uncluttered, and they are priced according to the current market. As a seller, when you meet these conditions your home will not only stand out from the competition it will also have the best opportunity to sell for top dollar. Reach out to Amanda at 703-431-3755 or email amanda@amandadavidson.com to talk about the marketability of your home. Market reports are great for general information but, nothing replaces a comprehensive market analysis from an agent who understands the intricacies of the Alexandria real estate market. Every home is different and its features influence its price. Achieving the maximum dollar for your home regardless of the current market conditions is always our goal. You need a full service agent who has a successful track record not only selling homes but, selling them for top dollar! The Crest of Alexandria is a community that’s been anxiously awaited by many. I drive by on my way to the office every day and while it took some time to get the actual building going they are off and running now. 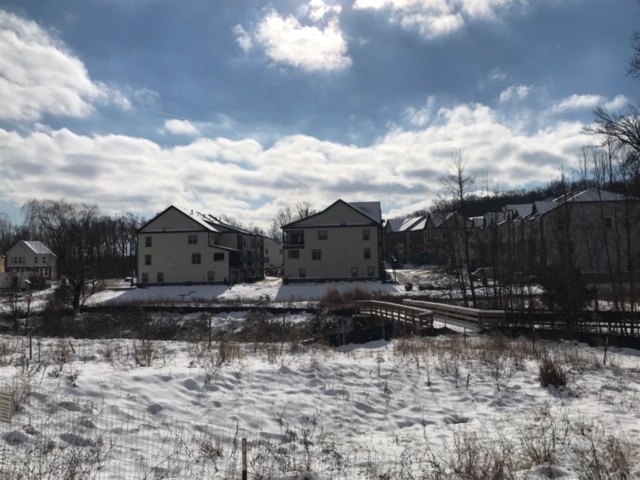 The community is located off Telegraph Road just a few minutes from Hilltop Village Center – home to the sought after Wegmans. 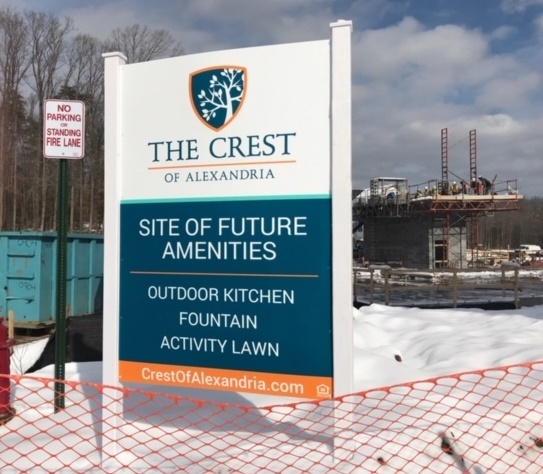 The Crest of Alexandria is being constructed on a portion of land that at one point was owned by Hilltop Golf. 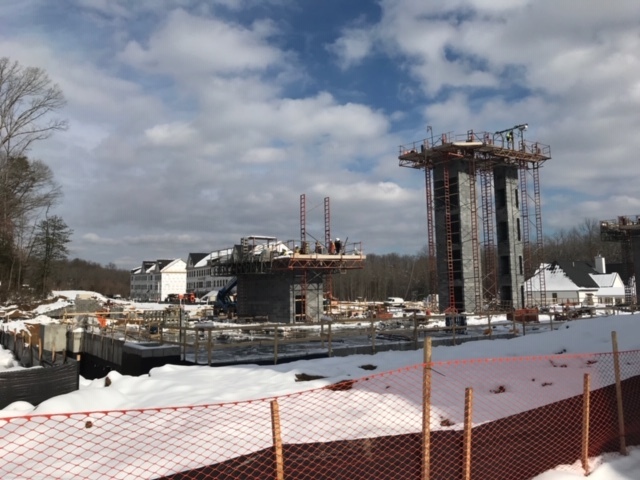 The Active Adult Community will be home to single family homes, townhomes with elevators, and condos. 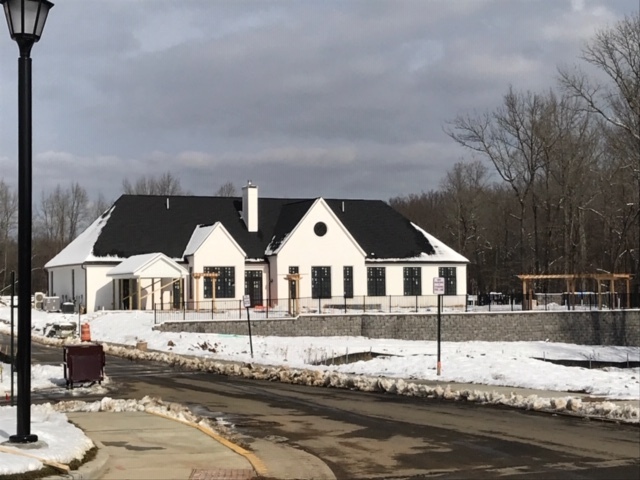 Once complete it will feature a clubhouse, outdoor kitchen, and yoga area. The clubhouse will be designed to offer social and wellness activities. There will be a fire pit, gardens, Koi pond, and walking trails. The Crest of Alexandria has been thoughtfully designed to encompass nature and serenity while still being minutes to daily conveniences. We stopped by to check out the townhomes with elevators being constructed by Craftmark Homes. Lori Windsor the sales manager and I worked together in the past and it was great to catch up with her and get the grand tour. 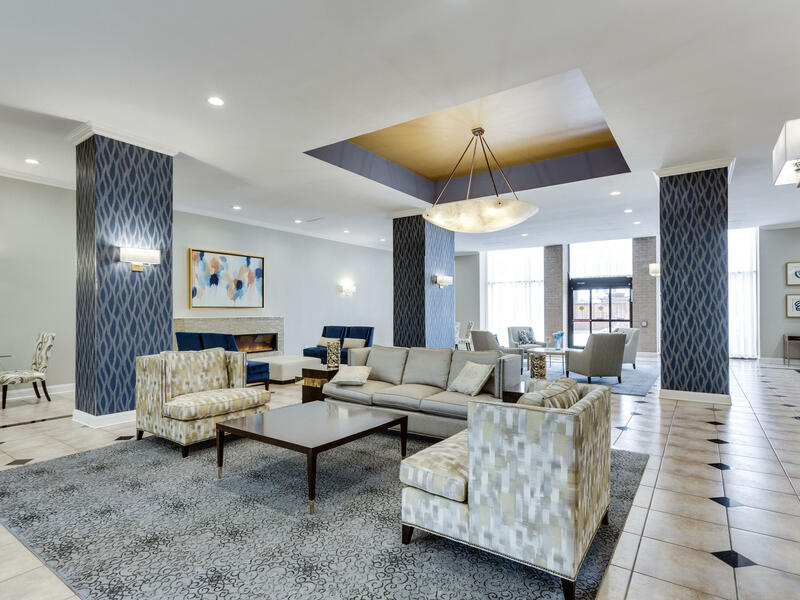 We were wowed to say the least – the attention to detail in the floorplan to cater to the 55+ client is impressive. Craftmark really thought out their product and it’s simply beautiful but, also quite functional. On the ground level you’ll find a 2 car garage, mud room, workshop/flex room, powder room, and spacious rec room. You can take the stairs or the elevator to get to the second floor – your choice! 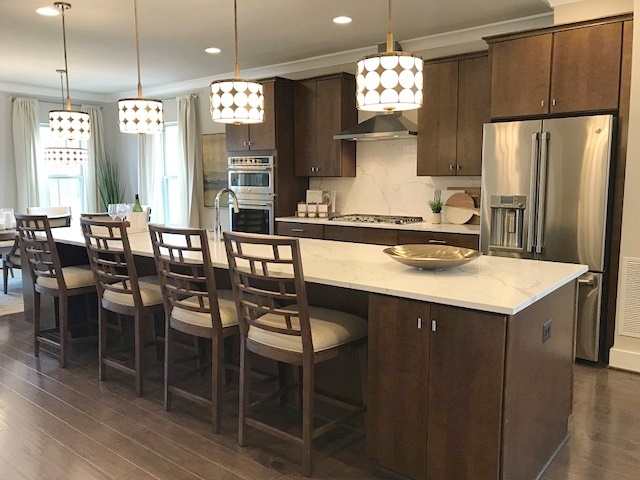 It offers a kitchen fit for any entertainers dream, absolutely gorgeous, cabinet space galore, gas cooktop, Quartz countertops, and GE Stainless Steel appliances. The center island is perfect for gatherings and has room for everyone to sit and watch the chef prepare the meal. No being stuck in the kitchen and missing out on the fun here. The dining room is over 17’ x 12’ and we immediately pictured kids and grandkids gathering around for a family meal. Have a lot of friends you’d want to have over? Plenty of room for everyone to enjoy each other’s company. 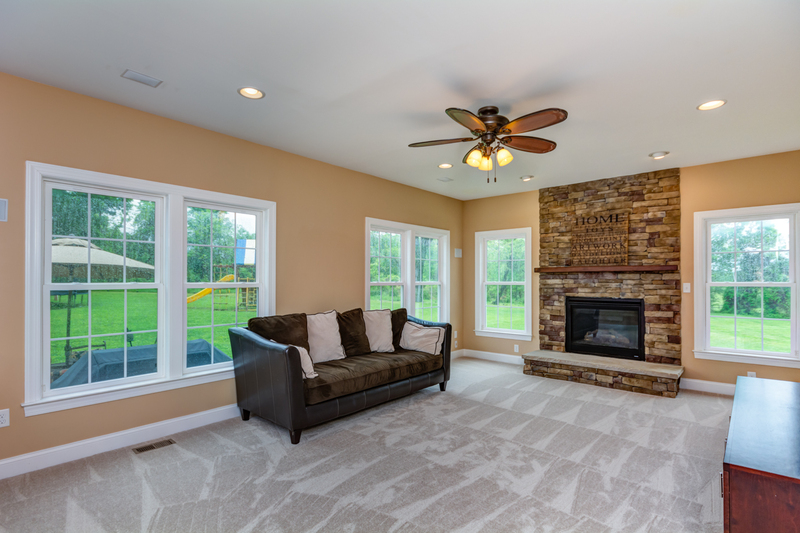 We can’t forget the family room with a gas fireplace on the 2nd level either, coming in at 22’ x over 13’ it’s the perfect place to relax and unwind or watch your favorite sporting event. Want to enjoy the outdoors? Just step out onto your covered terrace and enjoy the fresh air. The 3rd floor really impressed us with its design as well – again take the stairs or the elevator to get there, your choice! The master suite is exceptional. 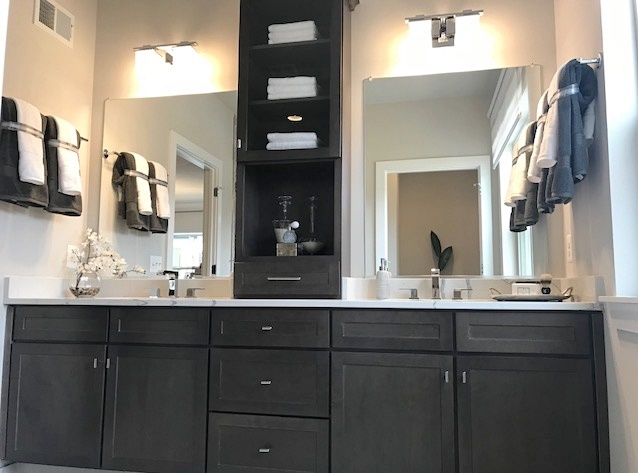 It’s very apparent by its size and setup a lot of thought was put into it, including the walk-in closet that has space to accommodate even the biggest shopping fan. 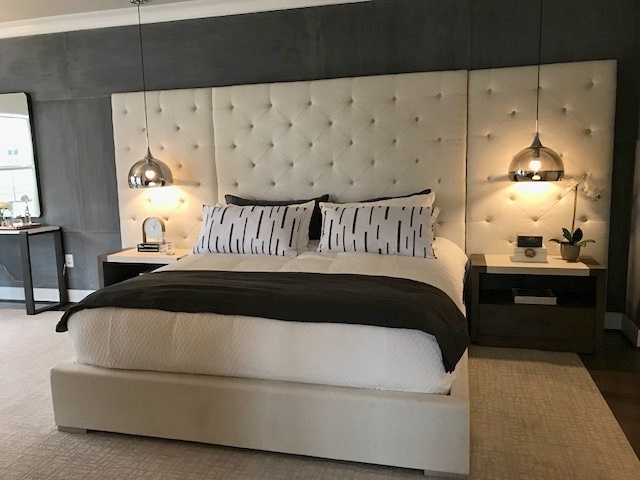 There are two additional bedrooms upstairs, the model is staged having one as an office but, both have ample space for queen size beds if you wanted to have two guestrooms. Having the laundry upstairs will be very convenient as well. 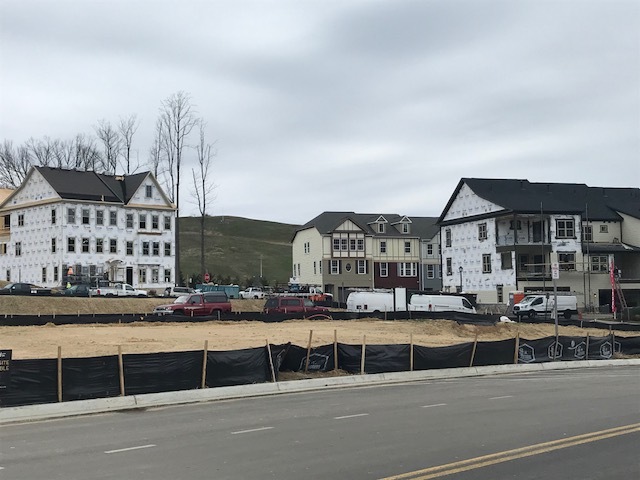 Our office is right up the street in Hilltop Village Center and we’ve been watching the neighborhood since they broke ground, it’s really starting to come to life. 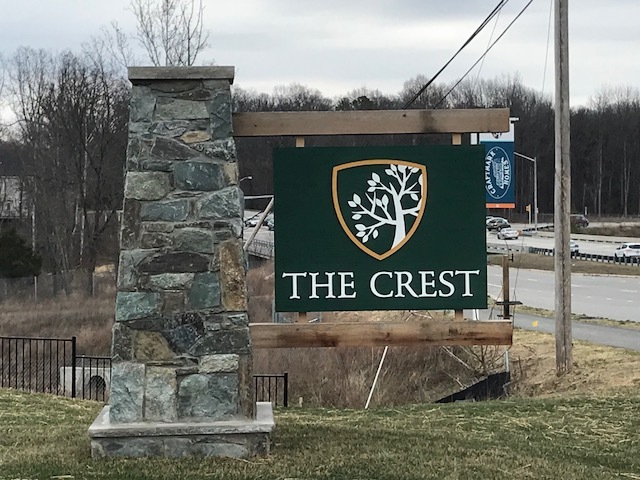 If you’d like to learn more about The Crest of Alexandria a 55+ community reach out to us. We always welcome questions and can arrange a private tour for you. 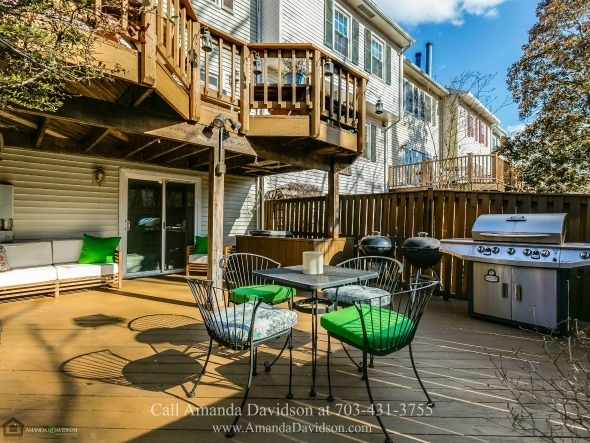 Call 703-431-3755 to reach Amanda or email amanda@amandadavidson.com. Lots of progress being made! Inventory in many areas is low – extremely low, in some locations even historically low. Real Estate agents telling sellers that they can sell their home at an unrealistic price just to win the listing is nothing new but, it becomes more prevalent when low inventory is a current market trend. Low inventory is a positive factor for sellers, it all comes down to supply and demand, but, when inventory is low some agents take the path of telling a seller whatever they want to hear just to get the listing. In a seller’s market having more listings is something agents love. Why wouldn’t they? Homes in Alexandria that are priced correctly and located in sought after neighborhoods are seeing multiple offers. Competition for a listing from multiple buyers is a listing agents dream. The sellers are thrilled and the agent is too, contingencies waived, offers above list price … you get it. The dark side to this type of market is real estate agents not being honest about what a home’s current market value is. Market conditions change gradually and that includes rising prices. They don’t jump up by for example $50k overnight. Properly pricing a home comes from studying the comps, current market conditions, condition of the home, location of the home etc. It does not come from an agent’s opinion of what it will sell for just because there aren’t other homes to pick from. 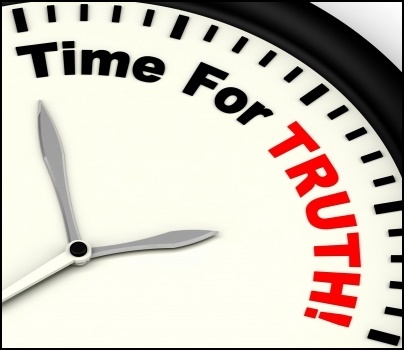 Pricing is one of the most important components of a successful sale and if you get it wrong from the start it’s not going to be pretty for the seller. I met with a seller a couple weeks ago and they were upfront that they were interviewing multiple agents. I expect pricing recommendations to vary and am never surprised if there’s a difference of $10k - $20k. Pricing isn’t based of a set formula and when that’s the case there will always be some type of variance. In this case however, I was blown away when the seller told me that there was a difference of $100,000 if they looked at the lowest price suggested and the highest. WHAT? I always try to put myself in the seller’s shoes and if you’re looking at your bottom line thinking you could have $100k more in your pocket I can understand why that would make you want to list with the agent that suggested that price. That’s a lot of money! However, the market prices your home and buyers resist overpriced homes, I don’t care how low inventory is. If there isn't data to back up the price you're headed down a costly path. Telling a seller what we think they want to hear just to win a listing is beyond unprofessional and against the code of ethics. That said, it happens regularly and unfortunately is more prevalent with the current market trends we’re in. For the ethical agents this is frustrating to say the least. We have a responsibility to be honest and provide a realistic market value for the home. It’s not an opportunity to toss an outrageous price against the wall just to win the listing. As a seller going with the agent who says they can sell your home for the highest price doesn’t mean you’re making the right decision on who is representing you. Your home is only worth what a buyer is willing to pay. Review the numbers each agent provides and ask them to explain how they arrived at their suggested list price. Agents who are recommending a realistic price will be able to go over every detail to show how they arrived at the price. Think about the cost of your home sitting on the market. I always compare it to stale bread – no one pays top dollar for stale bread. The longer your home sits on the market the less you’re going to sell for. Dropping the price until buyers see the value is a sure way for a seller to leave money on the table.